You have come to the right place for all of your PSD to Drupal projects. Because our Drupal developers have a long-term experience converting designs to fully-functional Drupal websites for many years, we handle each and every design and we will convert each of your designs into stunning Drupal themes which will be properly displayed in all major browsers and on all tablets and smartphones in order to increase the visitor conversion rate. Besides the cross browser compatibility our developers will also make sure your Drupal themes are on-site optimized for all major browsers which will significantly increase your website’s high-rank probability. All of our PSD to Drupal projects moreover include a free server installation. Why choose our company to realize your PSD to Drupal conversion? We carefully listen to all of your concerns, questions and input, no matter if you would like a single PSD to Drupal conversion or if you would like to request a wide range of conversion projects. Your wish and your feedback is our command and because of the extended opening hours a support employee will always be at your disposal to answer your questions and remarks in the blink of an eye. Because of our long-term international market orientation we are fully aware of the different time zones and the international customer service which needs to be provided. To be at service of all of our clients we are proud to present extended opening hours, a service which has brought us hundreds of different PSD to Drupal projects. The multi-year experience of our Dutch Drupal developers results into a reliable PSD to Drupal service. 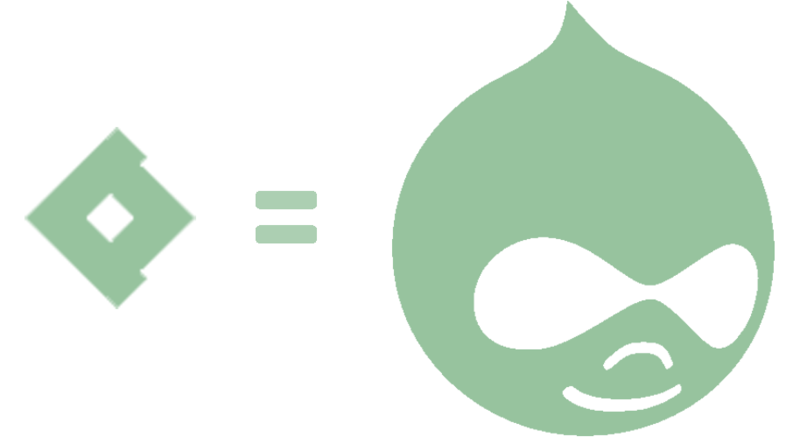 All Drupal themes are hand-made and are built from scratch which ensures a clean code delivery and which makes sure abundant items are avoided. By manually creating the code we not only realize a clean code, but we also ensure proper display of your Drupal website in all modern browsers and on all smartphones and tablets and we ensure proper search engine code indexation allowing to reach a high search engine rank. The actual PSD to Drupal conversion is an often stressful task. Each developer is once in a while confronted with obstacles which weren’t expected. This might cause a lot of stress and frustration which on its turn requires additional and often expensive expertise or which might lead to very time-consuming efforts to tackle the obstacles. Therefore we would suggest you to hand over all of your PSD to Drupal projects to our experienced developers and to enjoy a high-quality, inexpensive and within the agreed deadline delivery of all your conversion projects. To make sure all of our projects are delivered with the highest quality possible, we have implemented the below standards. These standards urge our developers to deliver stunning projects and an outstanding customer service. All major search engines will index your website in a proper way, which will result in an improved high search engine rank. Visitors and search engines will really appreciate a fast loading website. We therefore pay a lot of attention to your website’s speed optimization. We ensure a complete HTML and CSS W3C valid delivery in order to make sure all of the coding is interpreted correctly by all browsers and all possible devices. All website visitors will enjoy a properly displayed website because we will optimize your website for all major browsers. Fonts which are not supported by browsers, are implemented for free by means of @font-face in order to ensure proper browser display. Nowadays most websites contain at least one jQuery animation and that’s why we realize your jQuery animations like sliders and tabs for free. Looking for a high-quality service? Are you looking for a PSD to Drupal service for a single project or are you looking for a company to start a long-term partnership? We welcome you all. Start your first project by clicking the button alongside and our experienced Drupal developers will deliver a fully-functional Drupal website on your own server, without having to experience time-consuming and stressful moments. Of course we also allow you to first request a quote without any further obligations or to send us your questions in order to carefully consider your request.